Will your vote arrive in Victoria by December 7th? You only have a few more days to drop your proportional referendum ballot into the mail and have it arrive on time! Polls are showing that BC voters are split right down the middle—your vote will make a difference! Encourage your friends and family to vote too! Let them know you voted on Facebook, Twitter or by email. You can also drop your ballot off at any Service BC office, right up to the deadline. Lost your ballot, messed it up or otherwise need a new one? You can request one to be printed for you while you wait at a Service BC office or from Elections BC. Not sure why proportional representation matters for our environment—and so much more?. Voting pro rep, but not sure which voting system is for you? You can just vote for pro rep and leave the second question blank if you aren’t sure—they’re all good options. Or, take this quiz to help you make up your mind. 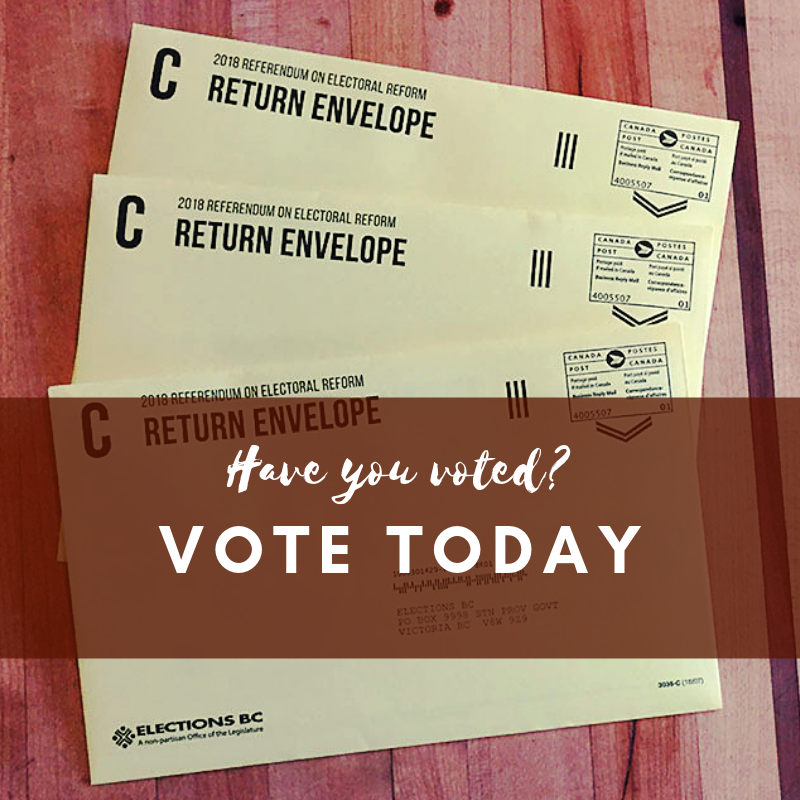 Ballots must be received in Victoria on December 7th, so please get yours in a mailbox today. With continuing job action in the postal system, you can’t afford to wait. Tell your neighbours, tell your friends, tell your family: it’s time to vote. Please make your vote count today—and in every future election! Want to do more? You still have time to join our phone calling team to call Wildsight supporters to encourage them to vote (send us an email to join).